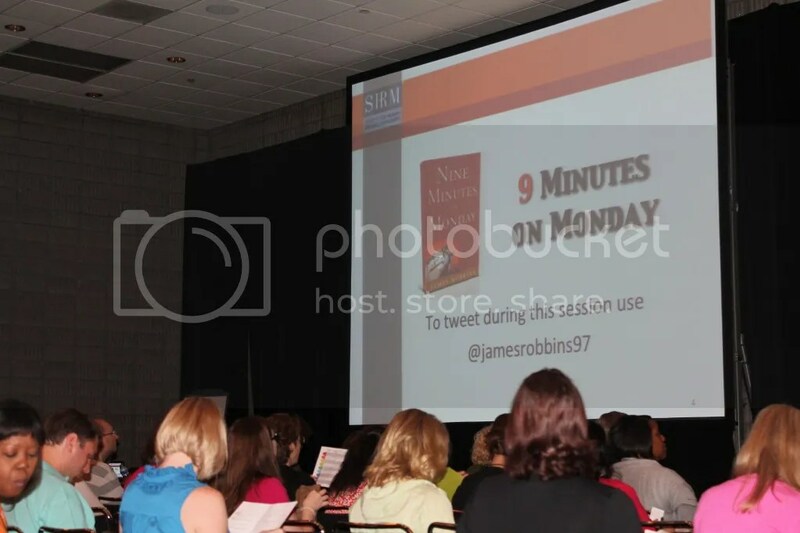 Its Tuesday Morning here in beautiful Atlanta and I got my 3rd day at the #SHRM12 conference kicked off early for a 7am session with James Robbins (@jamesrobbins97) for a session called “9 Minutes on Monday” the quick and easy way to go from manager to leader. What a great way to kick off the day! 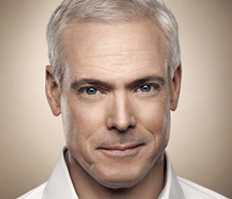 I found James Robbins to be a fantastic and inspirational! He had some of the best stories to tie back to his points — from his time in Bolivia and climbing the mountain to stories about his family (his child Sydney riding her bicycle in the snow with James to get to a client meeting had me in tears laughing!). It’s the little things — Its not about adding more engagement levers, its about using the ones that we have better. Our jobs as managers, leaders, and HR People — get results! We are paid to produce results, and our people produce the results, so you’ve got to be a good leader. Our teams are like gauges — we have to pay attention to them and make sure that we don’t loose focus on them. We also need to remember that our people have the need to be more than a number. 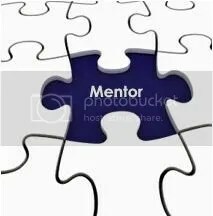 As leaders we need take a genuine interest in our teams. We should take a minute to learn about each one of them– and be real about it (ixnay on the surveymonkey). It’ll take time, but as you get to know about them you’re also building trust. “Caring is a form of trust,” says James. My third biggest take away is that people crave feedback because they want to know where they are to make an achievement. Can you give your people feedback? Can you give it timely? When you give feedback do you tie it back to a tangible effect? Many of us probably do the first two easily — but maybe forget that third point. Its important that we can tie the feedback back to an effect (impact to you as a manager/leader, the company, clients, or other goal) to help people get that feeling of achievement. Check out a more about Jame’s recognition codes on how to give meaningful and effective feedback to your teams. I look forward to putting these into practice when I return to the office on Thursday — that’s right, I’m so excited, I can’t even wait to Monday! So the question is: How do you marry discipline to creativity? You arrived at the Atlanta airport — successfully navigated to your hotel– and you even figured out the shuttles to get you to the conference center and got through the registration line– now what? There is a TON of stuff to do and see that the conference — so having a plan — even a quasi-plan — is helpful. You may have already done some research on how to make the most of your conference experience — but I thought I’d put a few more tips out there for any of you last minute planners :). Tip #1 – Decide what your focus? There are tons of sessions, booths, and networking opportunities …. so what is your focus? Pick activities that help you accomplish those goals and make sure that you balance your time between the activities. Also think about WHAT you want to learn about — are you looking for new technology? HR thought leaders? Implementing or re-vamping a HR program? Networking with people in your industry or location? Keep these factors in mind — it’ll help you select sessions and how you want to spend your time. I spoke with @mikevandervort who said that a conference in the past, his focus was all about networking — so he spend most of his time at networking events and in the exhibition hall. Its all about what YOU need to get out of this experience. Tip #2 – Do a little prep work. Okay — I admit, I WAS that nerdy kid in school who LOVED homework (and was known to even ask for more) so no surprise that I’d recommend this — but trust me, this one is simple and won’t put you out too much (like 10 mins tops! )– and you’ll get SO much out of it when you get back to your office. You’ll find it helpful to have a few prepared questions to ask potential vendors or people that you’re networking with — particularly if you’re looking at software, networking, or new business relationships. It will help you have a targeted conversation and when you get back from the conference you’ll have some notes to compare — you’ll be able to hit the ground running with follow up when you’re ready. If you’re all about sessions, be sure to take a look at the sessions online — some of them require per-registration and if you’re looking for re-certification credits, you can search before hand to see if (and how many) the sessions will qualify for. If you’re traveling in a group consider taking a divide and conquer approach! And remember, many sessions are recorded and you can view sessions online after the conference. Tip #3 – Exercise flexibility! I’m not talking about yoga here guys. You’ve thought about what you want to focus on for your conference experience, thought about what you’re asking folks and thought about what the sessions you’re interested but be flexible and open minded in case a session you’re interested in is full or another opportunity comes up for networking. It goes without saying — HAVE FUN and RELAX! 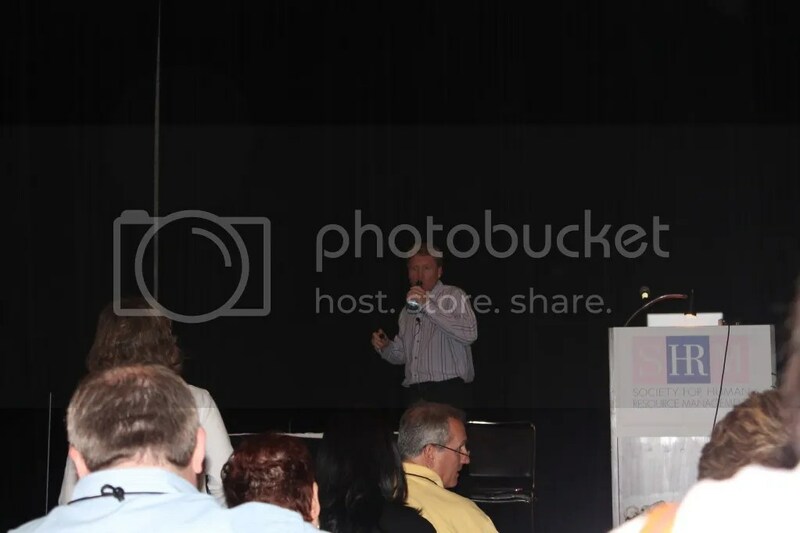 You’ll have a great conference experience!